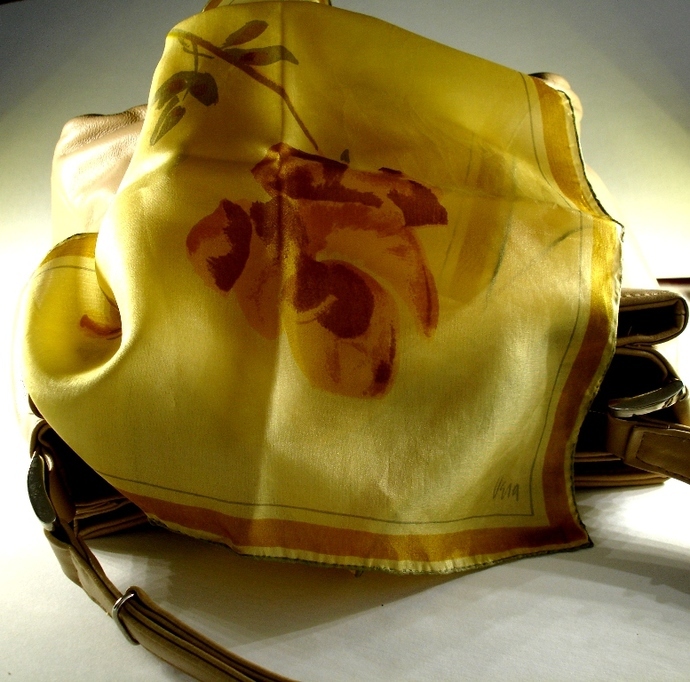 This lovely Vera Neumann Yellow Gold And Brown Roses scarf is a bright and beautiful combination of shades of yellow and gold with light gray green leaves, stems and border accents. 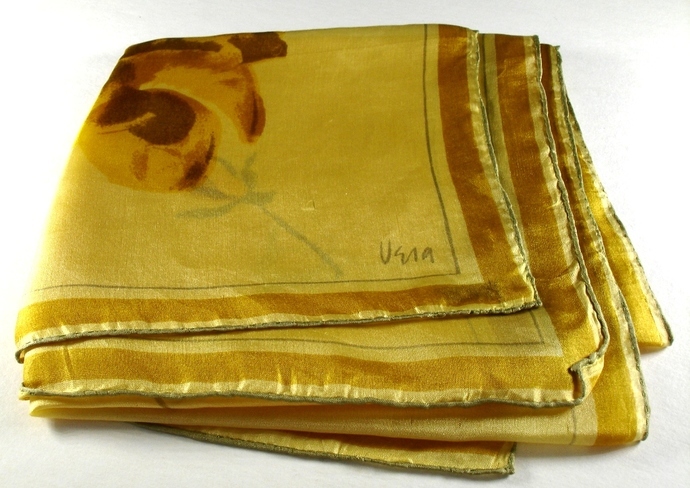 This Vera scarf has a hand rolled hem. 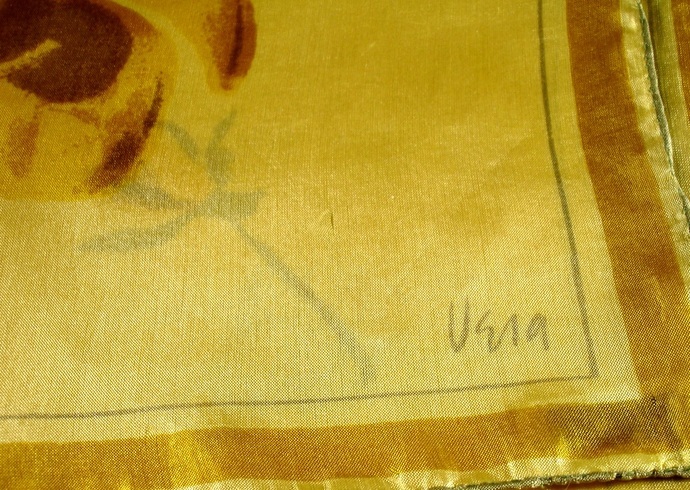 As pictured it is signed with a very small Vera with no copyright symbol which means this is one of Vera's very earliest scarves probably made with surplus parachute silk left over from WWII. 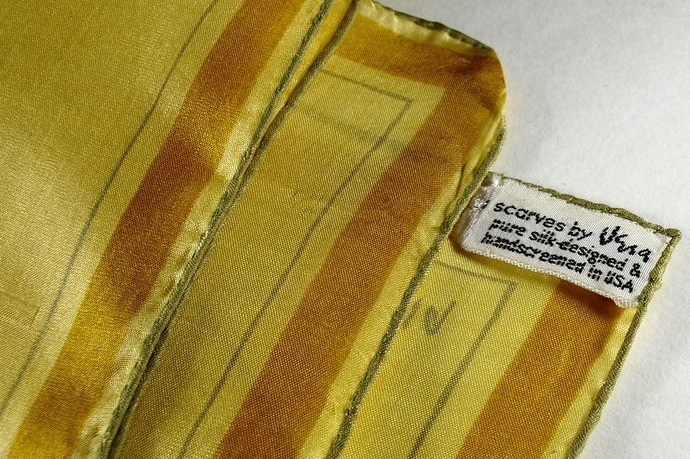 This scarf measures approximately 10" x 46" and is in excellent condition for its considerable age. It has several dents in the silk where a thread or two is slightly askew but there are no holes, rips or tears. The noted flaws are not visible under normal wearing conditions, they are only visible when examining it with a bright light shining behind it. This beautiful Vera scarf will give you many years of colorful enjoyment and will add a chic splash of vibrant color to your outfit of choice. This is a fabulous "Gift for Her"! When you give this Vera scarf you are not only giving a beautiful scarf you are giving a beautiful wearable piece of art history! 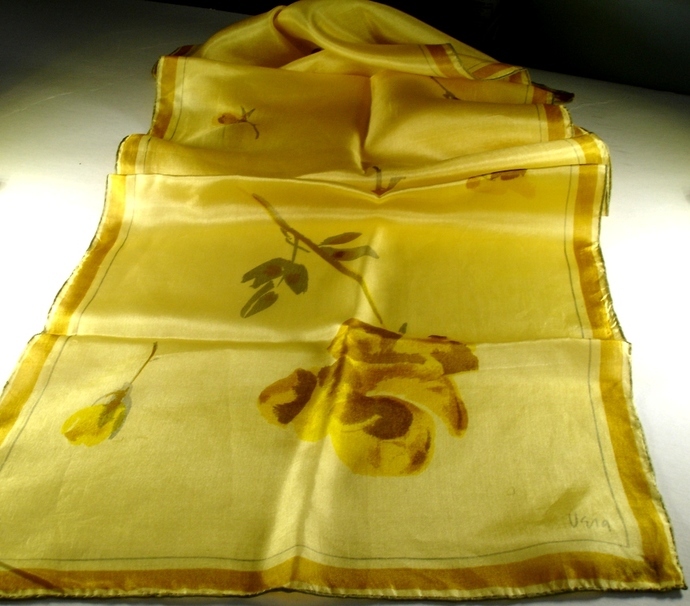 This Vera Neumann Yellow Gold And Brown Roses Floral Scarf Vintage Early 1950s will ship USPS Priority Mail with Delivery Confirmation and Insurance coverage in the United States.